THE DIRECTOR OF Public Prosecutions will not pursue a fifth trial in the case of a Cavan childminder accused of causing serious harm to a baby. 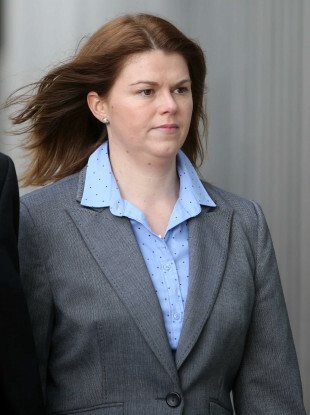 Sandra Higgins (37) of The Beeches, Drumgola Wood, Cavan, had pleaded not guilty during four previous trials at Dublin Circuit Criminal Court on a charge of intentionally or recklessly causing serious harm to a baby at the accused’s home on 28 March 2012. The fourth trial of Higgins ended last month in the discharge of the jury by the trial judge, Judge Pauline Codd, who ruled that there was a reasonable doubt Higgins could get a fair trial after email communications between expert witnesses were not passed on to the defence. She told the jury that this occurred through “no wilful action” by gardaí or anybody else. The jury in the third trial in January of this year were discharged after a legal issue arose before the trial opened in evidence. In a trial of Higgins on the same charges last year the jury were discharged after a juror accessed information on the internet. The jury in an earlier trial in the case in 2015 failed to reach a verdict. Judge Melanie Greally today discharged Higgins from the single charge on the indictment and entered a nolle prosequi following an application by the prosecution. There is a court order prohibiting publication of anything that would identify the child. Email “The State has dropped charges against a babysitter after four trials collapsed ”. Feedback on “The State has dropped charges against a babysitter after four trials collapsed ”.